He was born December 15, 1946 in Harrisburg, son of the late Wilbur J. and Jane Zimmerman Etter. He is survived by a son David H. Etter Jr. and wife Michelle of Lebanon; a daughter Sandra Shertzer of North Carolina; three siblings, twin brother Wilbur Etter Jr. and wife Darlene, brother Larry Etter and wife Maxine, and sister Kathy Zeiters, all of Middletown; two grandsons; and several nieces and nephews. Dave retired from Bethlehem Steel Corp. as a forklift operator in 1996 after 22 years of service. Prior to that he worked for Jackson Manufacturing in Harrisburg. 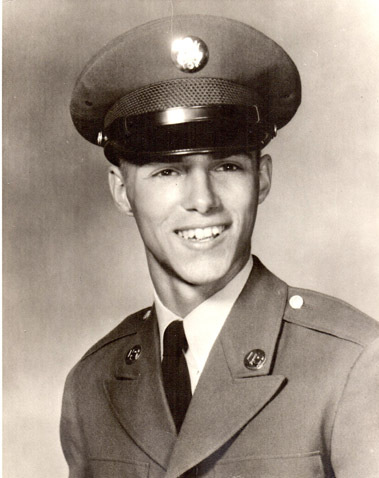 He was a 1965 graduate of Middletown Area High School and served two years in the United States Army. He earned the rank of sergeant while serving with the 35th Field Artillery Unit in Neu Ulm, Germany. He also enjoyed hunting and fishing. A private Memorial service was held on Monday, September 9, following interment at Indiantown Gap National Cemetery, Annville. In lieu of flowers, the family would appreciate memorial contributions to the Hollidaysburg Veterans Home “Welfare Fund,” P. O. Box 319, Hollidaysburg, PA 16648. Funeral arrangements were under the direction of Gilden Barton Funeral Home, Altoona.